Some drivers charged with DUI in Los Angeles have had a life-long struggle with alcohol. No matter what the consequences, they can’t stop drinking. Michelle Colby of Valparaiso, Indiana, may have such a problem. 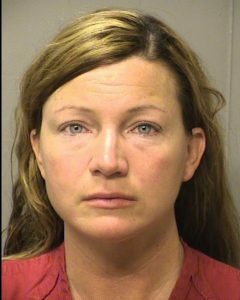 After making bail on a DUI charge stemming from a crash involving five children last April, she is now back in jail after failing a home breath test. On April 29th, Colby was carrying five young passengers, including two of her own children, when she failed to yield to another vehicle when making a turn. The driver of the other car and all of Colby’s passengers ended up in the hospital. The crash threw a child and a dog out of Jeep; the child survived, but the dog did not. Police at the scene said that Colby had bloodshot eyes and alcohol on her breath; a breathalyzer test showed a 0.22 blood alcohol reading.